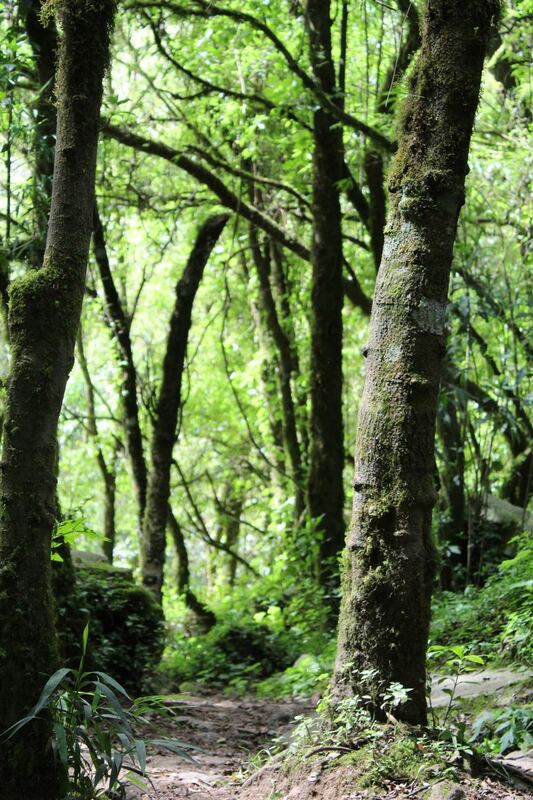 Have you ever experienced walking along an endless path? Recently, I shared some outdoor activities, in which I had the opportunity to take short and long walks on trails in the middle of natural forests. It was a unique experience, so I incredibly enjoyed it despite the complexities that arose at certain times. Eventually, one of the trails was much more complicated than the others, not only more complicated but also longer, almost endless. And in addition, many obstacles appeared throughout the tour. Endless slopes for climbing; some sections downhill, slippery with mud; suddenly some ditches to jump; and in some cases, small streams or mud pits that demanded some impulse to cross them. To the rhythm of the spectacular twittering of the little birds that fluttered in the middle of the forest and suddenly accompanied by a pair of friendly canines that joined the group as if they took the role of guides, the walk along the road suddenly acquired a different nuance. Some were losing strength; others, with a short break in the middle of the path and a little water was enough to regain the strength; others found it tremendously common, they knew they would face obstacles and were ready to face them. 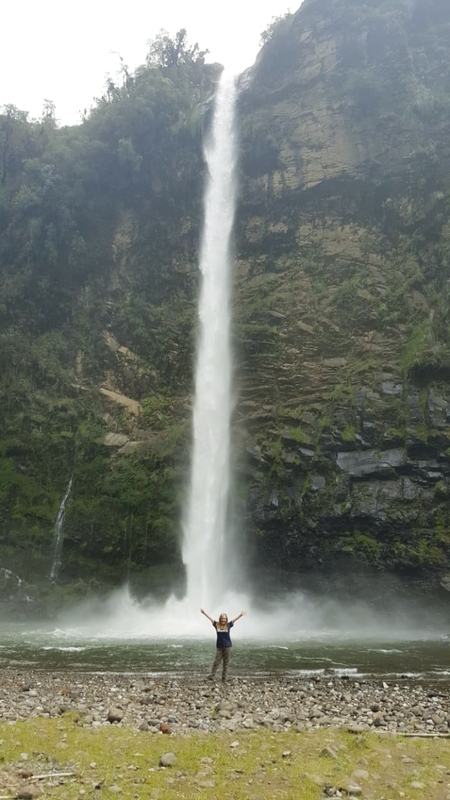 But for everyone, there was something that moved us not to stop or discourage us, but to continue despite the hurdles and perhaps the fatigue we experienced … a single, but powerful thing … our goal: to reach one of the majestic waterfalls of the area. 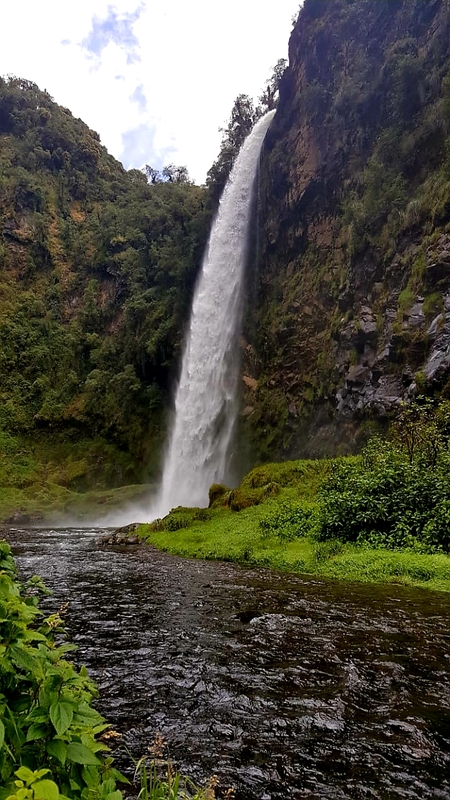 And so it was, after almost two hours, our eyes could not believe in front of us, one of the most wonderful spectacles, the Cascada de Cóndor Machay, fruit of the thaw of the Cotopaxi snow-capped mountain, located in the Ecuadorian province that bears the same name. only by the breeze that threw the force of the fall of the waters of the Condor Machay, which definitely brought freshness to our faces and bodies; but also because it brought refreshment to our souls, upon knowing that we achieved our goal, we discovered the beauty of Condor Machay, more than 3,000 meters high. Amazing! What an extraordinary live stage! Walking along these roads and in particular this one that took us to Condor Machay, at times seemed a myriad, endless and irresistible path, but our eyes were on the finish line, the inestimable goal that was finally achieved and enjoyed. Have you ever experienced walking along an endless path? Have you ever thought that the path of life sometimes seems to be an endless and overwhelming path? Many times, walking through life may seem like a path whereby we walk without reaching the finish line. We certainly face many obstacles, but unfortunately we do not reach our goal. Now, what is your goal? What do you want to achieve at the end of life? Perhaps, having a successful marriage, children fulfilled both as persons and as professionals, a highly respectable professional development, businesses that reach their maximum magnificence; and all this can be valuable and if achieved, it will be truly worthy of admiration. However, even if all this seems stately and invaluable it remains purely physical and emotional. But, what about the spiritual realm? Do we think perhaps that after all the innumerable hurdles overcome and the success achieved on this planet, everything ends there once we leave it? Well, absolutely not, God, our Creator according to His Word, “… and has set eternity in the human heart…” (Ecclesiastes 3:11). We are eternal beings, once we leave this earth, we will live – our spirit will live forever. The question is, where? And while our life does not have a clear and transcendent purpose, all success achieved even in the midst of huge obstacles becomes transient, temporary, fleeting achievements and even futile. Why? Because very often everything we do, and with great effort, is simply done to bring about recognition to our own name. The moment we recognize that we are creatures of God, the creator of the heavens and earth, of the human being, of the entire universe and of everything in it; our perspective will change completely. We are beings created by the great Almighty God and we are made in His image and likeness and we are created for good works; as His Word states: “For we are God’s handiwork, created in Christ Jesus to do good works, which God prepared in advance for us to do” (Ephesians 2:10). Then everything makes sense. It’s not about us, it’s about who made us and what He created us for. God is the one who gives purpose to our lives, He is the one who will fulfill His purpose in each one of us (Psalm 138: 8), of course if we turn to Him, if we seek His direction, if we long for His purpose in our lives. The journey of life is complicated, exhausting and confusing at times; but if we are clear about our purpose and we set our eyes on it, we know that every obstacle will finally be overcome. Jesus said: “I have told you these things so that you may find peace in me. In this world you will face afflictions, but be encouraged! I have overcome the world (John 16:33). And He also said: “In my Father’s house are many rooms; If it were not so, would I have told you that I go to prepare a place for you?” (John 14: 2). Today may be the day you find true peace and salvation. Surely, you may have been walking on seemingly blind alleys, endlessly. And perhaps, without any major achievements. But Jesus Christ invites you to leave all the burden at His feet today, to confess your sins before Him, to let go everything that troubles you before Him. Jesus today listens to you, He listens to your heart and invites you to release everything that overwhelms you. He is your Savior, your Healer, who forgives all your evils and is ready to welcome you with open arms. You have tried to jump or evade so many obstacles but without any luck. If today you open your heart completely, without regrets, if you repent of all sin, Jesus promises you eternal life in His presence, and also to walk with you the path of life. 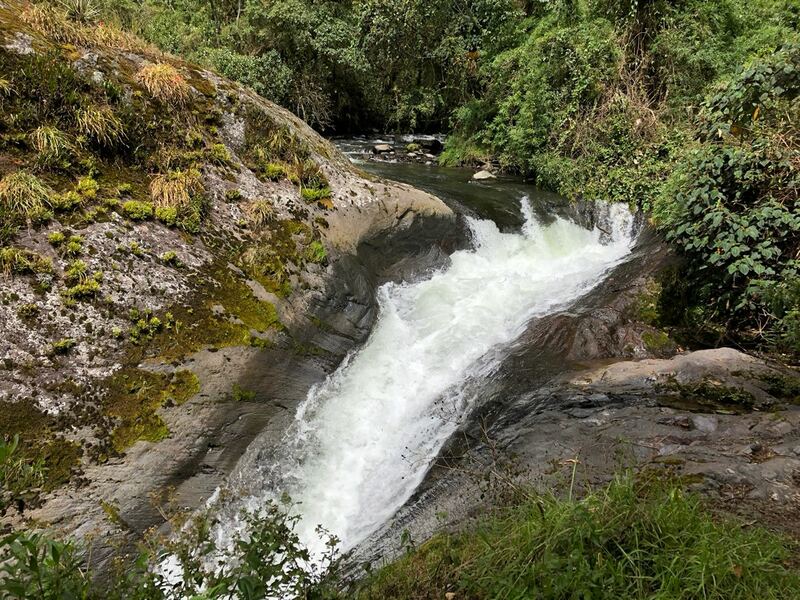 At the end of the path, the majestic inexhaustible source of living water will surely await you, Jesus Christ Himself who will receive you with open arms, who will wipe away your tears, who will refresh your soul! His Word indeed states: “The LORD Himself goes before you and be with you; He will never leave you nor forsake you. Do not be afraid. Do not be discouraged” (Deuteronomy 31: 8). Photos: Courtesy of CI colleagues.